No one likes to come home from a long day of work to the “second job” of cleaning the house. Our Danbury cleaning service is ready to get the job done and save you time and energy. Our cleaning services in CT are designed to keep our home clean and beautiful, so you can spend your time on things you enjoy like your favorite pastimes and hobbies and the things that really matter, like time with friends and family. We love to provide our clients with spectacular house cleaning. Danbury, CT and surrounding towns are included in our service areas. In addition to providing clean homes, we also play our part in keeping Mother Earth clean and bright too! We use only green cleaning products that are environmentally sustainable and recyclable. In fact, many of our cleaning products are even made from recycled products. When you work with our cleaning service in Danbury, CT, you aren’t only keeping your home clean, but doing your part to keep the earth clean as well. ​First, we are the only Danbury house cleaning service that uses “green” cleaning products and supplies. Next, we always offer a satisfaction guarantee on our cleaning service. Danbury, CT is where we were born and raised. With so many large franchises in the cleaning industry, you never really know where the company is based. ​When you work with us, you know that you are working with a small, locally owned business. Our cleaning services in CT are fully bonded and insured. We even have many customers from Brookfield, CT. When you hop on Google and type in “cleaning service Danbury CT” you will find many quality providers of cleaning services, but we are different from the rest. At our Danbury cleaning service we use a proven cleaning system to ensure that our homeowners are happy with the result of our hard work. This system is designed to be thorough and detail-oriented, and to emphasize quality making sure we hit every nook and cranny of your home. Also, take a look at our customer reviews page. We guarantee our local reviews are the best of any area services that provide house cleaning. Danbury, CT homeowners take note; our clients trust us and recommend us to their friends and loved ones. We create relationships with our customers that generate loyalty and trust. We take measures to ensure your confidence. When you type “cleaning service Danbury ct” in Google and security is your foremost concern, know that our firm is one of the most stringent in the area when it comes to background checks and training. 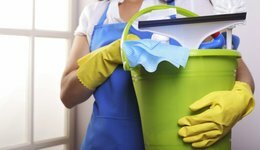 We take measures of the highest standards to learn who our staff is and are sure we train them to fulfill your Danbury house cleaning needs to the highest quality standard. Our mission is to positively impact the quality of life of the homeowners we supply with cleaning service, Danbury, CT business owners and the community as a whole. Yes, Danbury, CT business owners, we also provide commercial cleaning. 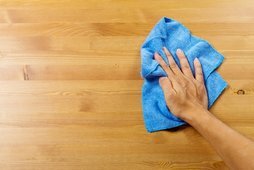 Let us take the cleaning tasks from your already busy staff. We provide evening cleaning services to offices and other businesses in Danbury, CT and surrounding areas. We can help you save time and focus on the things you love and the things that matter most to you, including your family and friends. Let us handle the hassle of keeping your house clean: You have better things to do! Get out and enjoy life and let us handle the house cleaning. Danbury, CT homeowners! Give us a call today for a free estimate and to get your home sparkling clean!